Christmas Special! The vinyl digitally reissued! After more than 30 years of silence the record label "Plebb Records" slowly gets back to life and restarts its activities by documenting and reissuing the former vinyl productions by the bands Plebb, Ictus and Purple Haze. As a special Christmas happening Plebb Records release all their vinyl productions to the digital media. 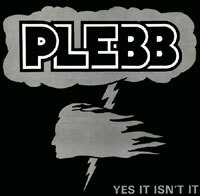 Finally you can hear and get access to all the rare recordings from Plebb and the other bands. The recordings are mastred and digitally restored for best fidelity and experience. The records are available now on Christmas Eve, December 24 on your favorite digital music provider.